This Summer SUQQU had a colorful launch: 3 eyeshadow palettes, 2 limited edition blush duos, lipsticks and completely new product line: SUQQU Glow Touch Eyes. I was ecstatic as I love liquid eyeshadows (Armani, Rouge Bunny Rouge) and hoped that I'd have better luck with these shadows compared to SUQQU's cream formula. These shadows are advertised as easy-to-wear, radiant and long-lasting. There are 5 permanent shades and 1 limited edition. From what I've seen online, all shades are shimmery with micro glitters. According to Selfridges' description the shadows are infused with moisturizing royal yelly extract and jojoba oil. Each Glow Touch Eyes shadow comes with 7.5g of product for £24 (~26.40€). Made in Japan. I was jumping up and down from excitement when I saw the promotional pictures, but decided to restrict myself for only 2 shades and test the formula first. I chose the moonlight silver 01 Ginzora (銀空) and LE shade 101 Teriaka (照朱). It puzzles me why such a beautiful reddish copper shade was chosen to be the limited edition. I'm tempted to get the pink shade and maybe the light brown, but I wonder if it transfers too much like 'cat puke' color on me. I'm keeping my fingers crossed that SUQQU brings out more shades: I'd love to get a purple, a navy blue and perhaps a shimmery black! The tubes are similar to SUQQU lip glosses, but the tubes are frosted and the doe foot applicator of Glow Touch Eyes is longer and slightly angled. The color and shine of the eyeshadow transfers beautifully through the tube, I find the frosted "glass" (it's plastic) with gold and black very elegant. The texture of Glow Touch Eyes is a smooth, slightly runny liquid and very easy to spread on the eyelids. I like to do one swipe with the applicator and then use a goat hair brush to further spread and blend the shadow. Little product goes a long way and you only need one layer for a light yet opaque finish. It takes a minute or so for the formula to set, but I have not experienced any transfer to my upper lid. They work excellent for layering with powder shadows: I like to do an eyeshadow primer (Rouge Bunny Rouge *gifted), a pale base shadow and shading for my crease (Viseart Neutral Mattes for example) before adding Glow Touch Eyes on my mobile lid and blending. After the liquid sets I've added more powder shadow to my outer corners for extra dimension. Quick, easy, no-brainer but the shading and Glow Touch Eyes' shimmers make it look like I had made an effort. The shadows wear excellent on my hooded lids, +8 hours without creasing or fading. Wearing 01 Ginzora on the left, 101 Teriaka on the right. I love these shadows and they contest with Rouge Bunny Rouge, who have made my favorite liquid eyeshadows to date (review here). I do like Armani, but I prefer the bit thicker texture and sparkle of SUQQU and RBR. I try to contain myself and not buy every single shade, but the Hankyu limited editions tempt me a lot. As I said before, I wish that SUQQU will bring more permanent additions to this line as they’ve nailed the formula! Have you tried SUQQU’s Glow Touch Eyes? What is your favorite liquid/cream eyeshadow? Years ago, I remember reading Italian drugstore brand KIKO having dupes for prestigious By Terry brand's iconic eyeshadow sticks and purchased some during my trip in Berlin. For some reason at home my interest for KIKO died and I sold/gifted the untouched eyeshadows to a friend. Eventually I completely forgot about even owning the KIKO shadows and after repeatedly watching many British Youtubers speaking fondly of By Terry's Ombre Blackstars, I went and picked up the iconic famous shade Misty Rock during my trip in Tallinn. In high hopes and completely in love with the color, I purchased two more shades a week later in Stockholm. 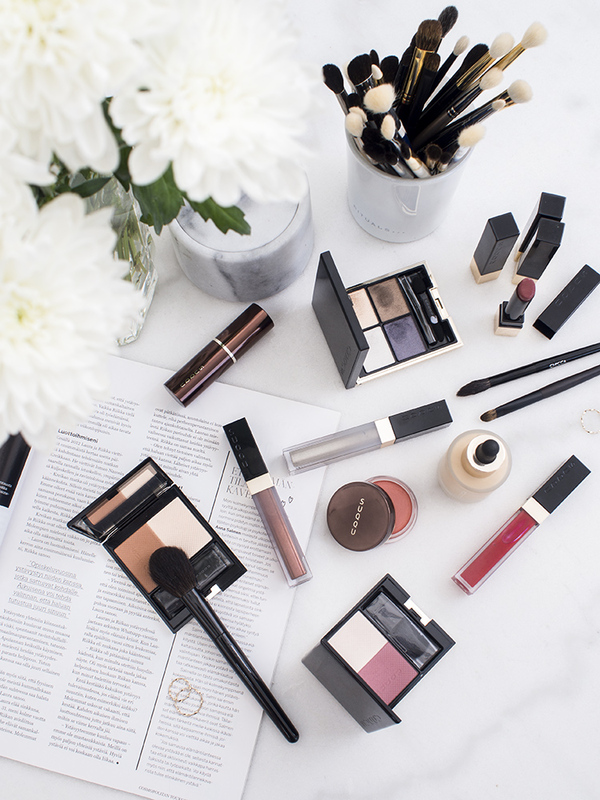 Today I'd like to share my thoughts if these luxurious eyeshadow sticks are worth it! First of all, the idea of Ombre Blackstars is brilliant: cream eyeshadow in a stick form. As much as I love Chanel and Tom Ford cream shadow pots, there's always a danger of the shadow drying out eventually. With Ombre Blackstars only a small bit of the tip touches air at once, which should make the danger of drying minimal. However, I've read online there is a possibility of the eyeshadow detaching from the case or breaking - personally I've had no such issues and the sticks seemed secure to me. Only my Misty Rock is very soft and the tip became annoyingly blunt from pressure. The eyeshadow stick rolls both up and down with a cap snapping close securely, which I appreciate a lot. 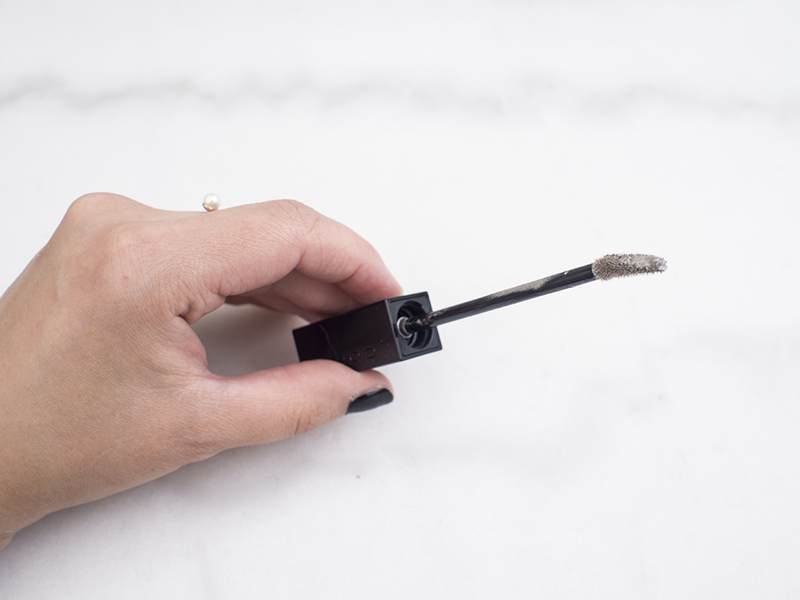 The formula is soft and easy to blend with a brush or fingers. There are ~13 beautiful shimmery/satin shades available and you get 1.64g for $44/£29.00/~32.15€. Available on Cult Beauty* (my favorite international online beauty shop). Definitely a pricey, luxury product, but sounds like the By Terry shadow sticks are winner? Wait, I have more thoughts to share.. According to the reviews I had read, the selling point should have been the staying power – no chance of budging, creasing or moving after application. I expected the eyeshadows to be "bullet proof" on the lids. I don't know if the formula has changed over the years, but I must say I was full of surprise and disappointment: the longevity was poor. The shadows get easily removed when curling my eyelashes and the rest creases during the day. If you've ever applied poor-quality eyeliner and curled your lashes you know how annoying it is to notice having bald spots on the lash line. Obviously reapplication is difficult and annoying when your freshly curled lashes are now in the way. After struggling to create a beautiful look the Ombre Blackstars creased within a few hours. Not by the end of the day, but within a couple of hours. Mind you, my lids aren't especially oily. I do have hooded lids and a defined crease, but not oily. I tried wearing the shadows with and without eyeshadow primer (Too Faced's Shadow Insurance) – no luck. I did love this look, Ombre Blackstars have very fine and elegant shimmer, which I'm a fan of. They're very easy to work with as the formula is nicely creamy and blendable. I applied 5 Misty Rock on the lid near the lash line , 4 Bronze Moon above and 3 Blond Opal as an inner corner highlight. I believe one could blend these shadows with fingers in a pinch, but I found that firm, goat hair brushes worked the best for blending and diffusing the color. Although the pen was a bit "fat" for the inner corner highlight or lower lash line, blending and cleaning the application with a pencil brush was easy peasy. Texture-wise all the shades are smooth, blend nicely and set semi-quickly. I didn't notice any shimmer fallout either. Only if the lasting power was better. I do forgive the Ombre Blackstars little bit as my expectations were quite high, but at the end of the day I will not be purchasing more colors. In fact, I sold Blond Opal and my backup of Misty Rock after I had typed this post. They're not necessarily a bad product as many seem to like them, but didn't work for my hooded lids and I wouldn't recommend them if you have a similar eye shape or perhaps oily lids. Beautiful colors nice to own, but I find them too pricey for what they are. There are other potential cream eyeshadow formulas on the market I'm willing to trial. Tom Ford and Channel potted cream shadows I already like and I'm intrigued by the Armani Eye Tints and Burberry Eye Contours. By Terry's are sadly not a must-have for me. EDIT 2019/03 I’ve learned that I can wear these colors if I use a non-slippery eye primer and only wear the color on my mobile lid. WAIT for setting, then gently blend towards the crease. Still, not a favorite..
Have you tried the By Terry Ombre Blackstars? Do you have other favorite cream eyeshadows?